Our color spotlight of the day is Beige Butterfly granite! This slab is composed of a mixture of gold, black and white colors. It has a distinctive pattern that features a combination of the warmth of gold, highlighted with dark black veins and a minimal touch of white. It is made from natural stone which ensures its long-lasting durability. Beige Butterfly granite is versatile because it can easily blend with other color schemes. Therefore, it has always been a favorite among designers and customers. It is a perfect choice for kitchen and bathroom countertops, as well as for other interior projects, including walls. Many of our client testimonials actually feature this granite in their kitchen countertop projects. 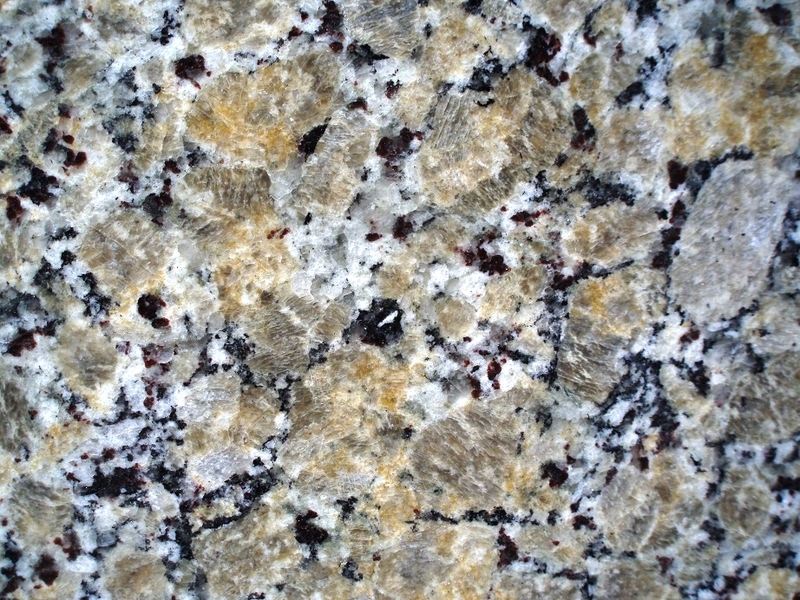 Beige Butterfly granite is a great choice, especially if your kitchen cabinets are white. The white minerals in the granite will stand out and will add a fun, inviting personality. The distinct colors and patterns will also allow for a variety of decorating styles. Beige Butterfly can also be paired with cabinets that have a medium to dark tone of wood. Adding this granite color for your kitchen island countertop will make it stand out and become the focal point of your kitchen. Its polished finish will also provide a different feel to the entire kitchen, while its durability will guarantee that you will enjoy it for years to come. If you want a sophisticated and unique look for your kitchen upgrade project, then this stone is the right one for you! Contact us to reserve your Beige Butterfly slab today!